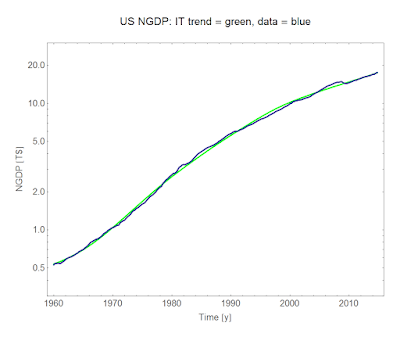 Information Transfer Economics: How RGDP got its slopes? To talk about the cause of “slow growth in measured productivity” as if it is just one, not five, things causes confusion. I agree that you should definitely keep in your head the possibility that anything you observe may have more than one contributing factor! However you should also keep in mind that the other extreme -- a collection of just-so stories that explain your personally selected features of one particular measure of the economy -- can cause just as much confusion. 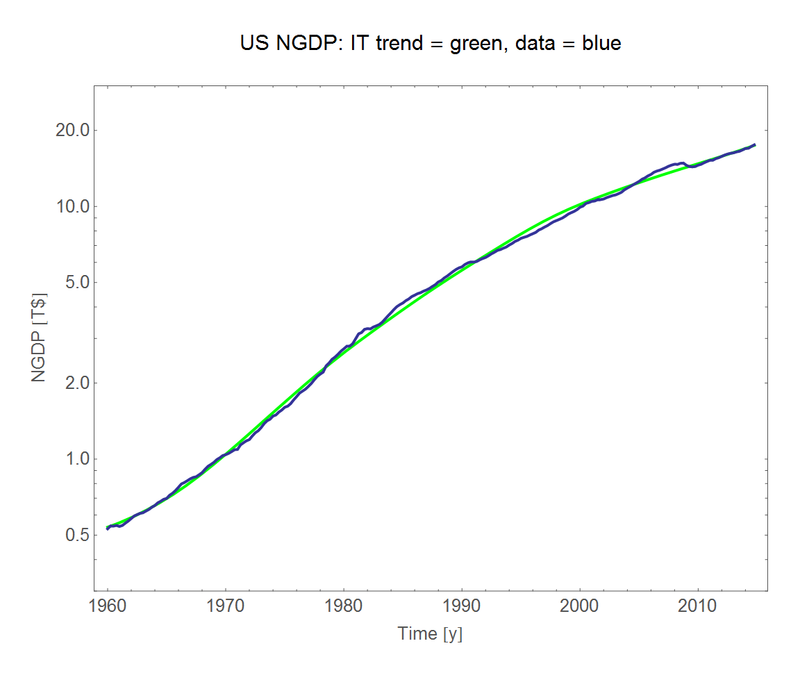 The gradual decline in NGDP growth is explained in this model by it becoming more probable that a given dollar is facilitating a transaction in a low-growth industry (that the distribution shown here shifts to the left with increasing size of the economy). Is this correct? I don't know, but I'm doing my best to test it against new data in order to mitigate the possibility of fooling myself with just-so stories. Perhaps I'm missing something, but I've thought one large factor in the productivity slowdown since 2008 is the slowdown in investment that accompanies economic slowdowns. 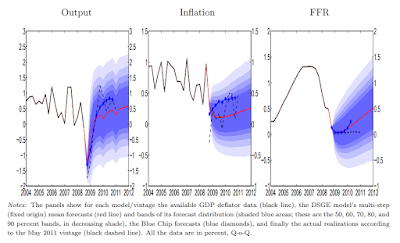 Well, NGDP = C + I + G + NX and I is the most cyclical component, so with any recession a big change in RGDP = NGDP/P is going to be associated with a big change in I/P (real investment). 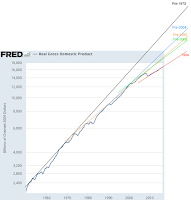 A larger recession is going to have a larger fall in I/P. But as these are all just definitions. "I" is just the leftover partition of currently produced goods and services that aren't consumption, government spending or net exports (the well-defined three). 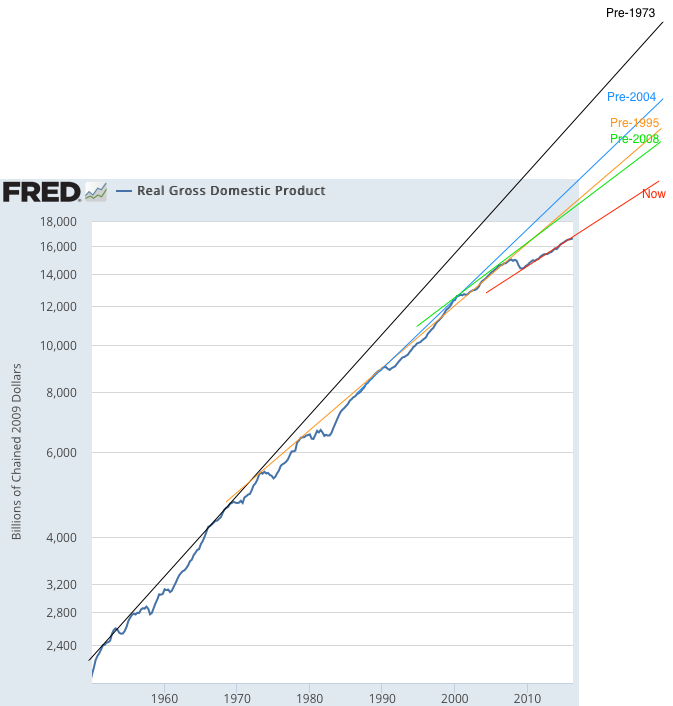 Basically a fall in RGDP is a fall in at least one of, if not all four: C, I, G, and NX. However saying one or more of these components fell doesn't necessarily explain what has happened since those components are just names we've made up. For further (and more nuanced) thoughts on this, check this post out.